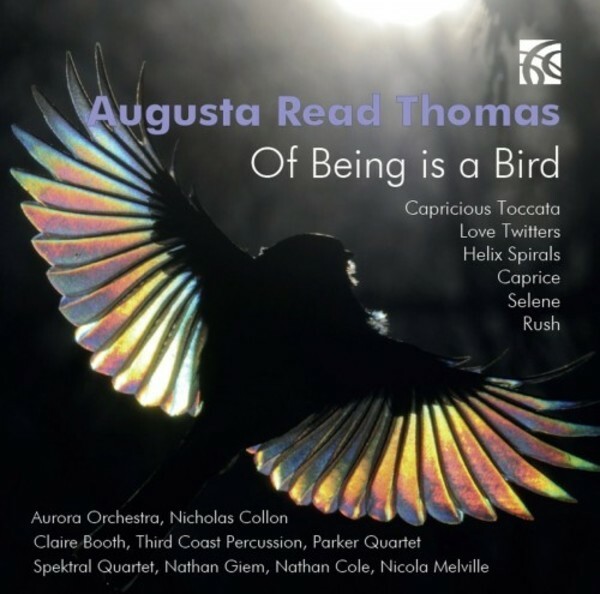 This CD, the sixth instalment in this series documenting Augusta Read Thomas's work in all its protean variety, is dominated by some of her most recent music. Except for the last three brief works on this programme, which date from 2004-06, the music gathered here dates from 2014-15, effectively turning this CD into a kind of compositional diary for these years. The New Yorker magazine called Thomas "a true virtuoso composer.� Rising early to the top of her profession, a member of both The American Academy of Arts and Letters and Academy of Arts and Sciences, former Chairperson of the American Music Center, Thomas has become one of the most recognizable and widely loved figures in American Music. A Member of the Conseil Musical of the Foundation Prince Pierre of Monaco, she has won a Grammy and received the Ernst von Siemens Music Prize. Her composition Astral Canticle was one of two finalists for the 2007 Pulitzer Prize in Music.